If you are a dog or cat owner and are thinking you'd like a new furry friend to add to your family, but are unsure whether your existing pet would be able to play nice with an animal completely opposite to them - don't worry! 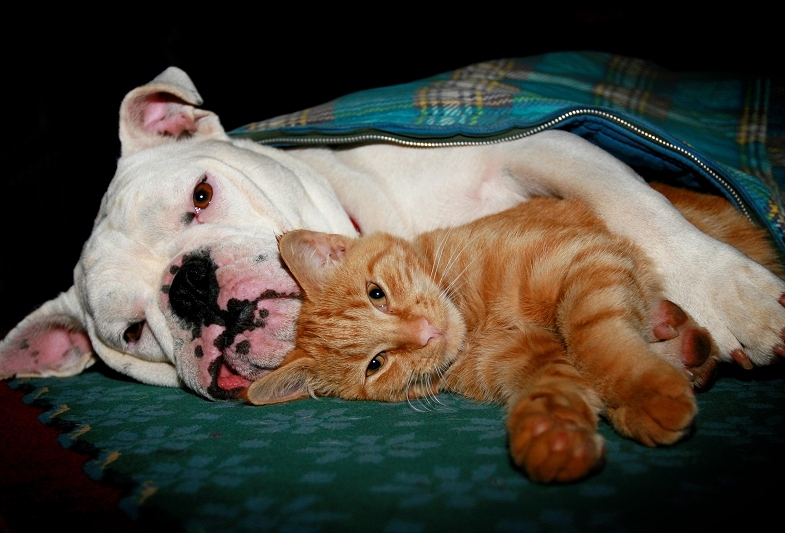 We've compiled a list (in no particular order) of the top 25 breeds of cat-friendly dogs. 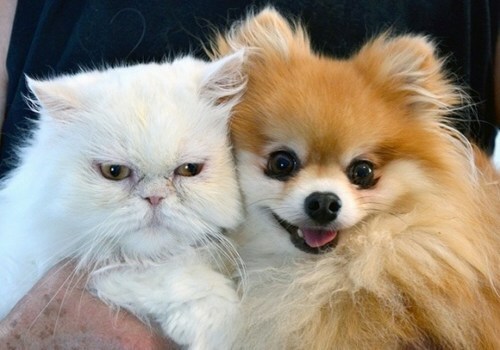 Small, but incredibly confident a Pomeranian could be the perfect match to a cat. Pomeranians are inquisitive, intelligent and loyal and after some socialisation could be a great little friend to any cat. 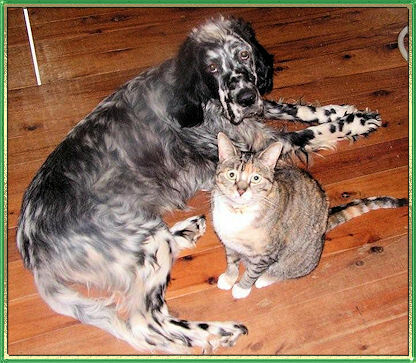 The English Setter is a beautiful dog. They usually have a placid temperment - especially as they mature. Affectionate, friendly and gentle, they enjoy socialising with all sorts of animals - yes, even a cat. 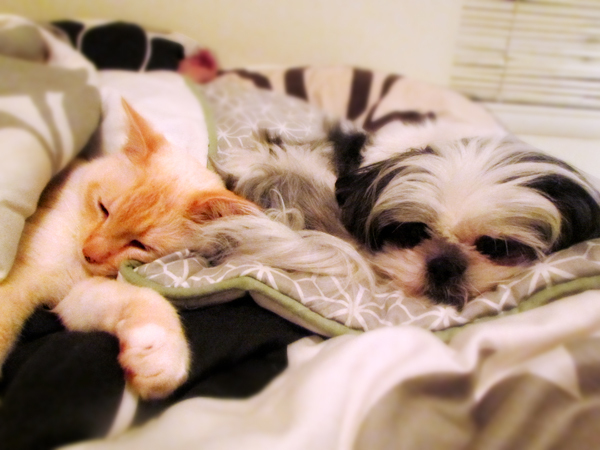 Adaptable is a word you want to hear when looking for a breed to get along with a cat and a Shih-Tzu is certainly adaptable. Their personalities are bigger than their bodies which sometimes means they can become a little arrogant - so plenty of discipline will be required! Curious, devoted and ever the clown, a pug could be a wonderfully entertaining addition to any household. With this great sense of humour comes friendliness and they get on very well with cats. Chihuahuas are little guys and a cat is more than likely to be quite a big bigger than them - but the two can get on famously - even taking naps together! 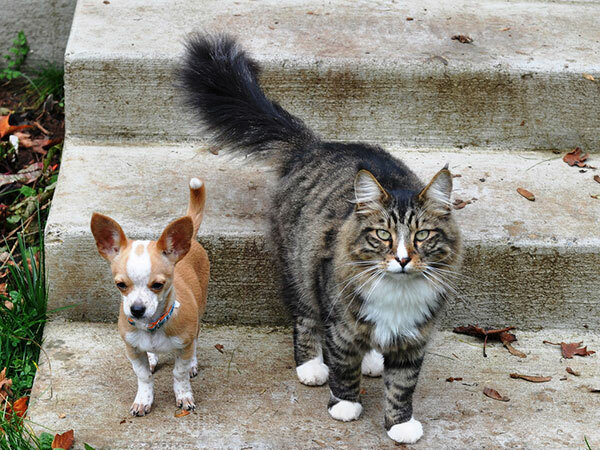 While they are highly energetic, Chihuahuas like to share the same space with cats. Fond of sun-baking, Italian Greyhounds are cat-like in that respect. 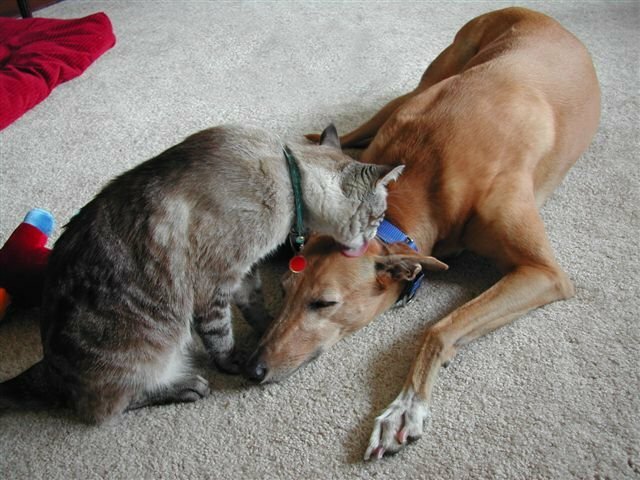 They are gentle and sweet dogs who get on very well with feline companions. Maltese are smart, fast-learning dogs with excellent manners! They love to please and immediately become great companions to cats. They may be little, but Yorkies have BIG personalities. Inquisitive, clever and very agile - this little pooch is a great companion to any cat. 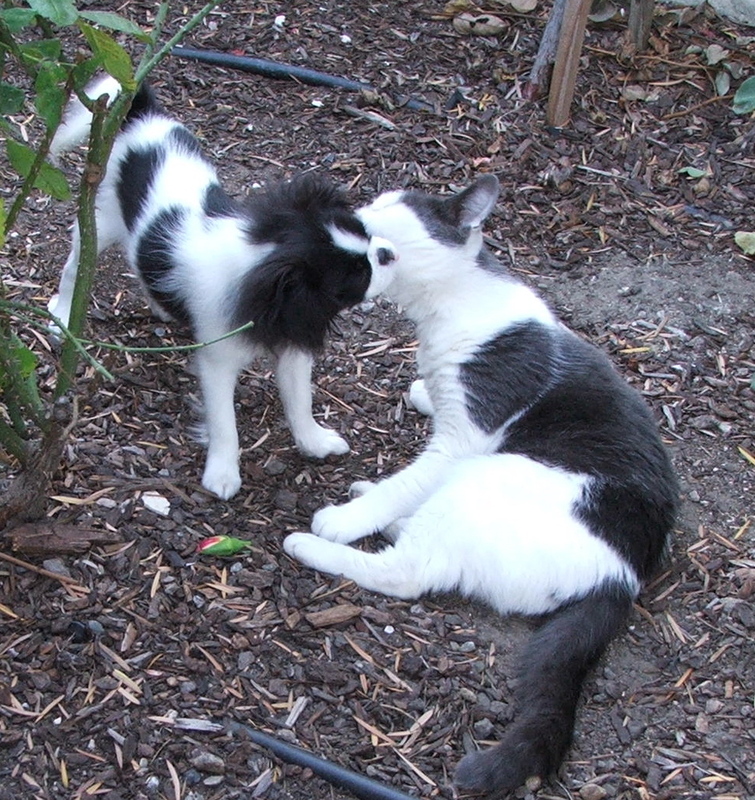 Working best with outgoing and and good-natured cats, the Cav can have a very playful relationship with a kitty. They are smart and are able to learn tricks easily making them a great addition to any household. 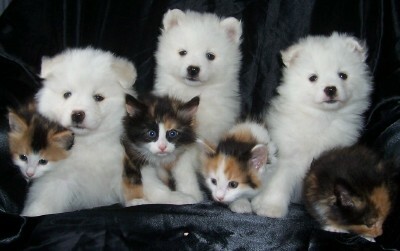 Extremely intelligent, alert, mischevious and affectionate, the American Eskimo could be a great companion to your cat. The Boston Terrier is a cheerful dog who loves to play fetch. 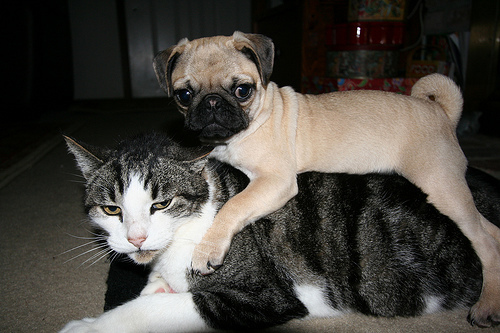 They are extremely good-natured and gets on well with cats, especially if they are brought up together. 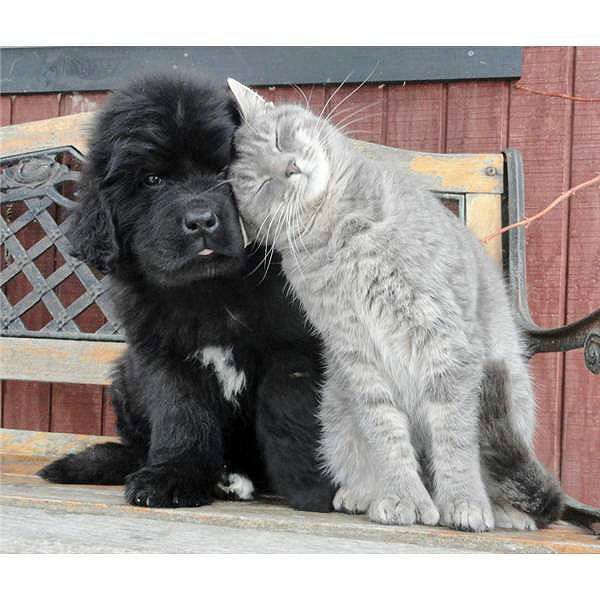 They might be big, but Newfoundlands are gentle giants who are extremely docile, loyal and trustworthy. Their laidback nature is compatible with that of a cat. 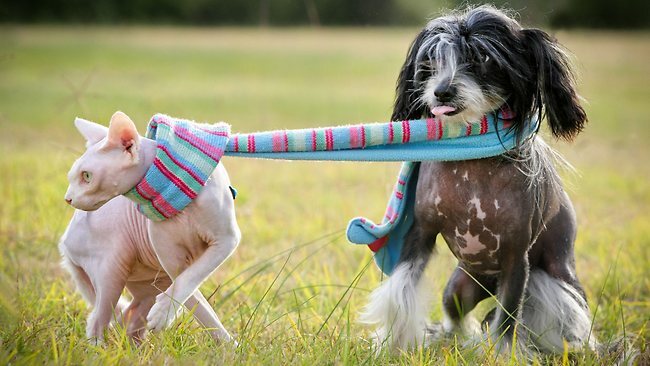 It goes without saying, the Chinese Crested is an unusual looking dog. 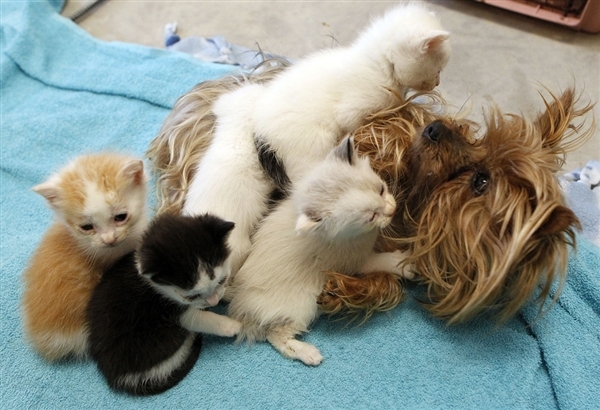 Cat lovers love the Chinese Crested because of its loving, playful nature. The English Bulldog is a lovable breed that has a sweet and gentle disposition. 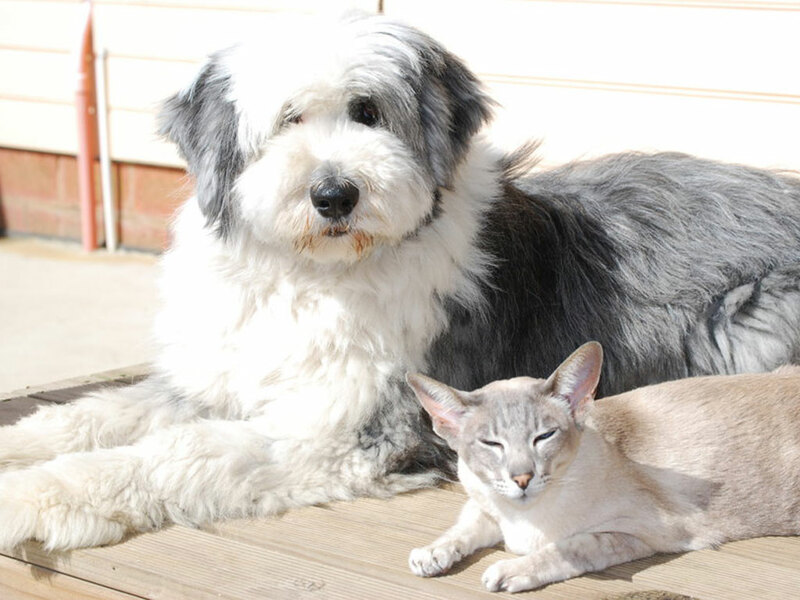 While they can be gruff around unfamiliar dogs, they get on very well with cats - and could even act as bodyguard! The Shetland Sheepdog is a very alert breed that is extremely easy to train. They have great tolerance and patience, which can come in handy when introducing them to a cat. These little dogs are incredibly happy and enjoy being in the company of their owners. 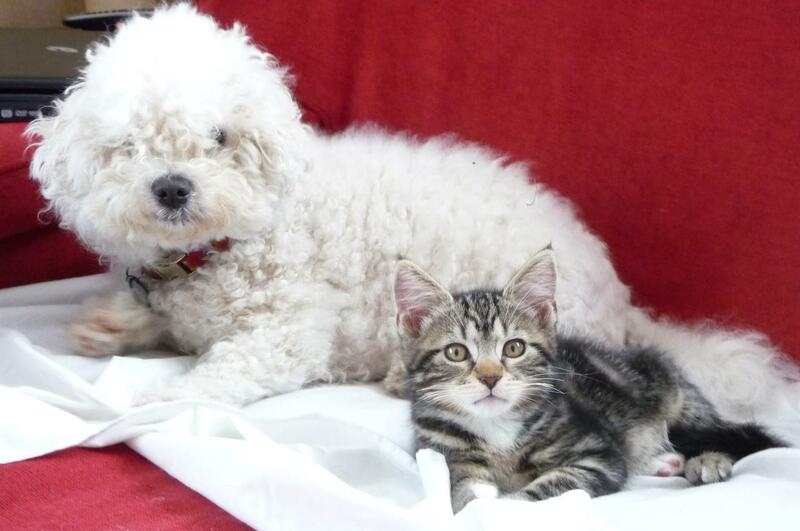 Once they have been properly socialised, they get on very well with cats. 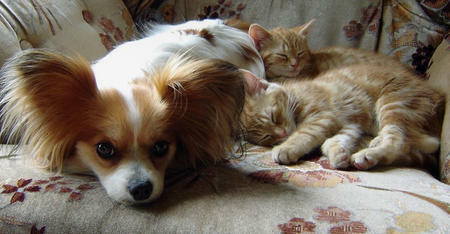 An affectionate and adaptable breed, the Japanese Chin can fit in to any household - including ones with cats. 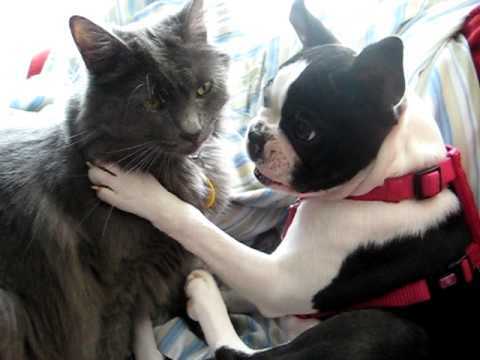 These little dogs are social butterflies who like to mix with other breeds and cats. They are outgoing and energetic and are extremely agile. 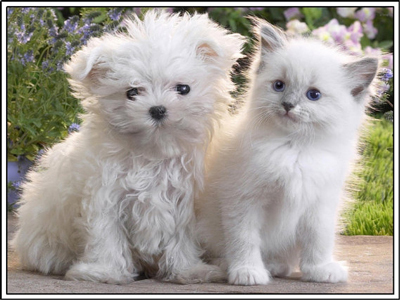 Clever, happy and curious, the Bichon Frise is a wonderful dog - especially so because they get on very well with cats thanks to their affectionate and cheerful attitude towards other animals. 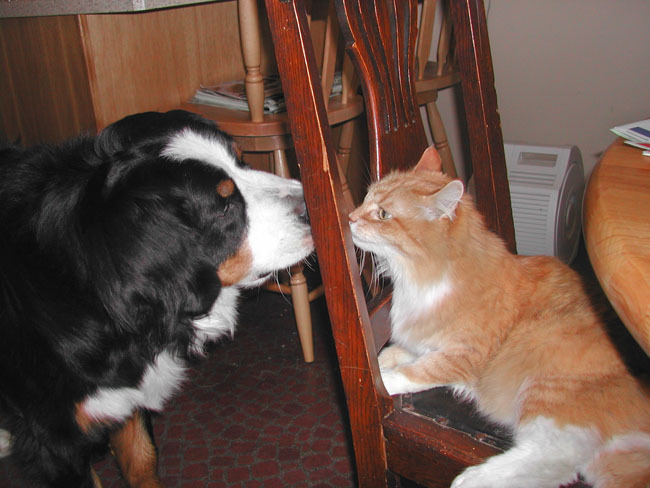 Its shyness can be suprising, given it's large stature, but the Bernese Mountain Dog could be a great companion to a cat, given that they are a calm and tolerant breed who is known for being a great watchdog who is never agressive. Beagles are friendly and highly social dogs who are not territorial at all (except over food maybe!) Because of this, they are perfect for mixing with felines. Intelligent and independent - 'Beardies' are a good match for cats. These lovely dogs are always eager to learn and please people - even cats. 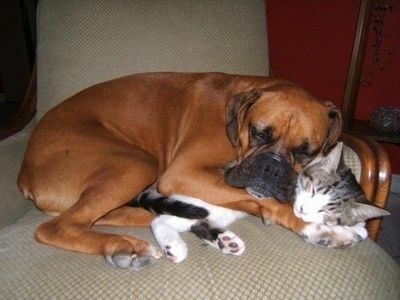 Boxers are happy, energetic and loyal and once they are properly socialised, get along very well with cats. 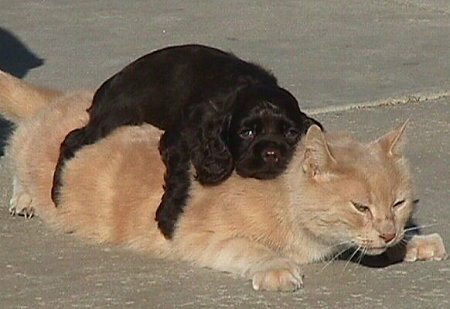 Gentle, sweet, charming and devoted - the American Cocker Spaniel could spend many a day devoted to a cat. A popular dog, the Golden Retriever is lovable, energetic and intelligent. 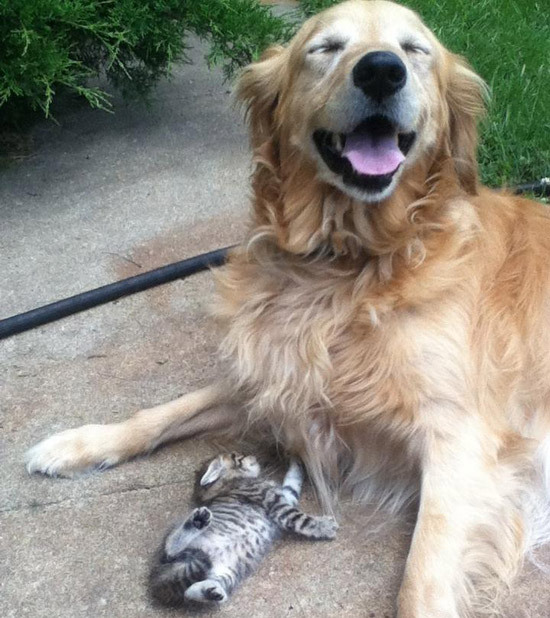 Friendly to everyone, with little guarding instincts, the Golden Retriever could be the perfect friend for a cat. I love all the animal pictures. They are wonderful. Thank you. Loved the pictures and the info. Thank you so much! 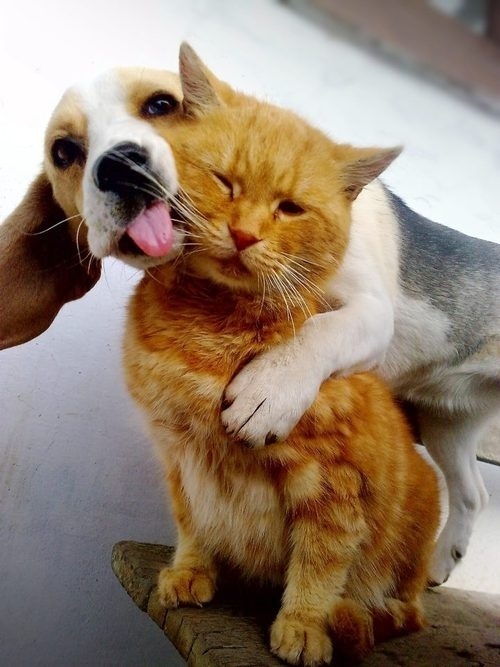 By the way, did you notice that some of those cat-o-phile dogs resemble their feline pals? They probably think they're some kind of hybrid doggie!